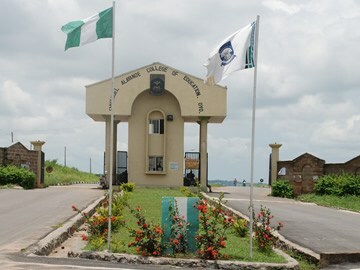 Emmanuel Alayande College of Education, Oyo, EACOED supplementary admission mini screening dates for 2016/2017 academic session have been announced. This is for candidates who did not choose Emmanuel Alayande College of Education, Oyo as first choice. and adhere to it. Emmanuel Alayande College of Education Supplementary Admission Screening Date – 2016/2017. All the 2016/2017 newly admitted Full–Time Degree Students are hereby informed that a mini screening exercise has been scheduled to hold between Monday, 3 April, 2017 and Wednesday, 5 April, 2017 in the BOT Hall beside Students’ Affairs Office at 9:00am on each day. Candidates who did not choose this Affiliate as their first choice institution should now do so. In specific term, the affected candidates should change their first choice institution to Emmanuel Alayande College of Education, Oyo in affiliation with Ekiti State University, Ado – Ekiti. All the affected students are hereby enjoined to make it a point of duty to appear for the screening as the results of the screening exercise will be used to ratify your admission by the JAMB authority.